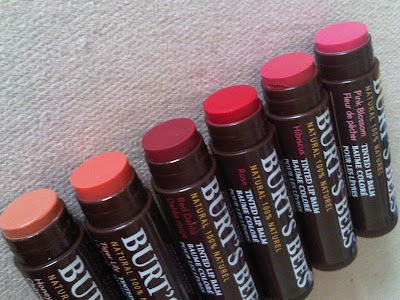 I’ve been a big fan of the Burt’s Bees lipbalms for a while now, even singing their praises in the Debenham’s Beauty Awards and picking them as my highlight of all the products entered. The formula is soft, moisturising, delicate and really does help to make your lips kissable. I especially like the ‘flavoured’ ones, the mango scent being a personal highlight. When I found out they’d extended the range to include coloured balms I was beyond excited… beautiful lips with a hint of colour too? Wowzer. 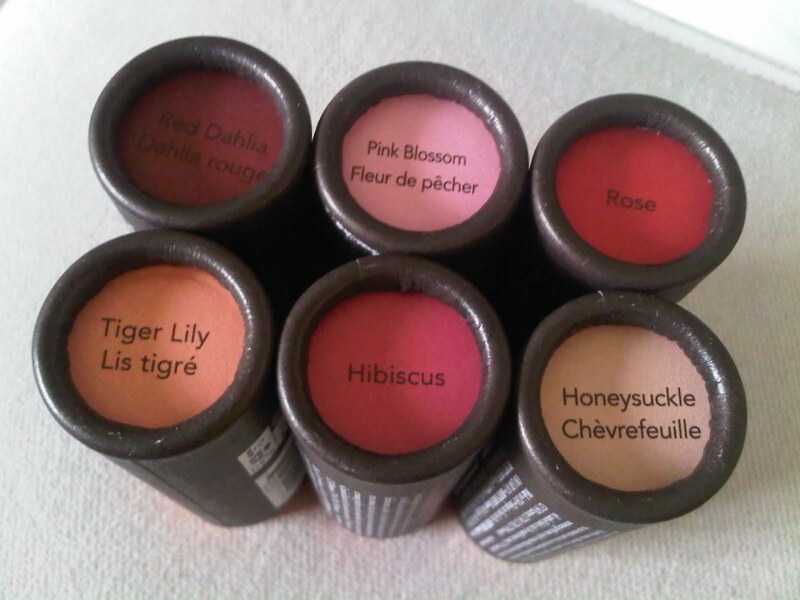 The range comes in six shades, all named after flowers (honeysuckle, lily, rose…) and delicately scented appropriately. Shea butter forms the basis of the balm, being great at moisturising and improving the elasticity of lips, as well as protecting against environmental ageing. The colour seems bold and bright in the bullet of the product, but it actually applies very sheer and barely noticeable… so much so that the colour wasn’t coming out at all in photos! When applied to the lips the colour is extremely subtle, so much so that it may actually not be enough for those of you who like to have colour on your pout at all times. 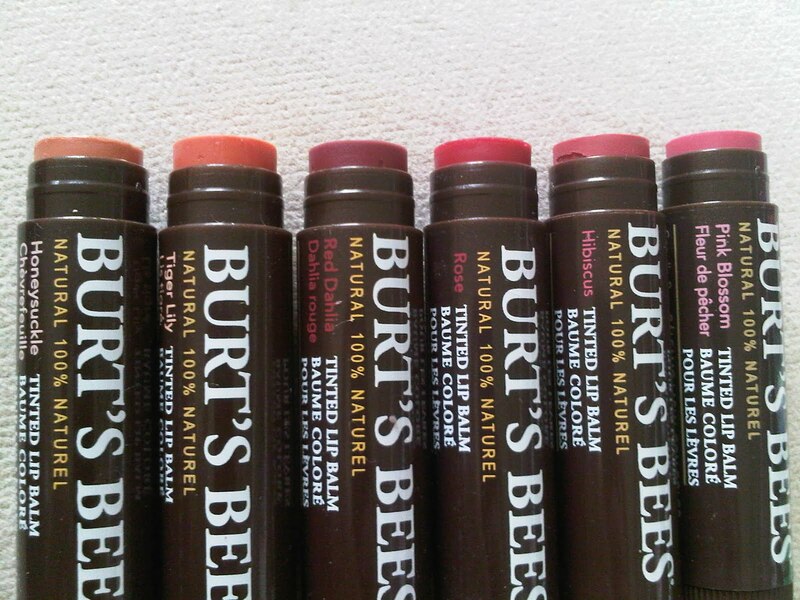 The formula of the tinted lipbalms isn’t as moisturising as the original formula, probably something to do with the way it’s developed and what you have to put in/take out to get the colour there, but they’re still better at helping your lips than a lot of other balms in my possession. The effect they add to your lips is very delicate, a subtle sheer shine and hint of colour, so it’s perfect for when you don’t want your lips to go naked, but don’t want to pile on the slap. 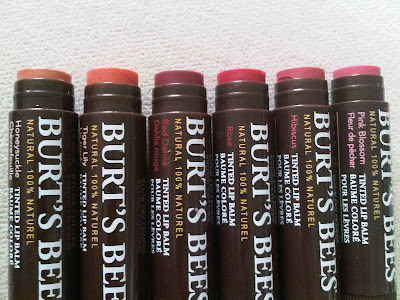 I would thoroughly recommend you invest in a Burt’s Bees balm, because they’ll last for yonks and really make your lips super smooth. At £5.99 they’re not mega cheap, but you do get what you pay for. 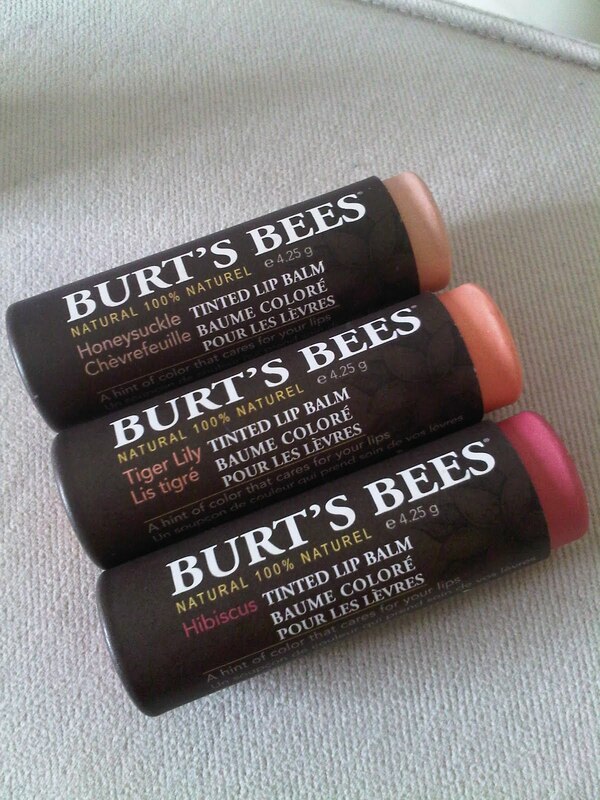 Other balms can actually be drying and only protect your lips from further dehydration rather than solving the problem, but these really do feel like they help. The packs are teeny and cute, plus these coloured ones come in super cool packs which make them feel more substantial and exciting… so you can totally justify spending six quid on a lipbalm.